It is quite natural that literature related to car­ heart disease, cardiomyopathy, pulmonary and diac structure, function, pathology, and patho­ pulmonary vascular disease, trauma, acquired valvular disease, congenital disease, and surgi­ physiology has emphasized the left heart and systemic circulation. The relative lack of im­ cal considerations. 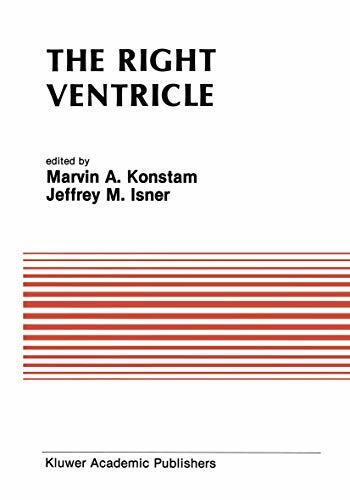 The pathologic and clinical relevance of myocardial infarction of the right portance of the right ventricle was supported by studies performed in the 1940s and 1950s ventricle has only been documented over the which suggested that the right ventricular free last 15 years. The chapter on right ventricular wall could be effectively destroyed in an animal infarction integrates clinical, functional, patho­ model without detectable untoward hemody­ physiologic, and pathologic observations to pro­ namic consequences. The relative inadequacy vide the reader with a thorough review, equally of noninvasive tools to study right ventricular relevant to the clinician and investigator. The contribution on dilated cardiomyopathy pro­ structure and function obviated detailed and systematic investigation. However, over the vides novel insight into the impact of right ventricular performance on the functional in­ past 15 years there has been a resurgence of interest in the right ventricle by a variety of capacity accompanying left heart failure. A book dealing with the right ventricle would investigators. The skeptic would argue that this renewed interest resulted from an exhaustion be incomplete without at least cursory reference we have of clinically-related observations that could be to the pulmonary circulation.